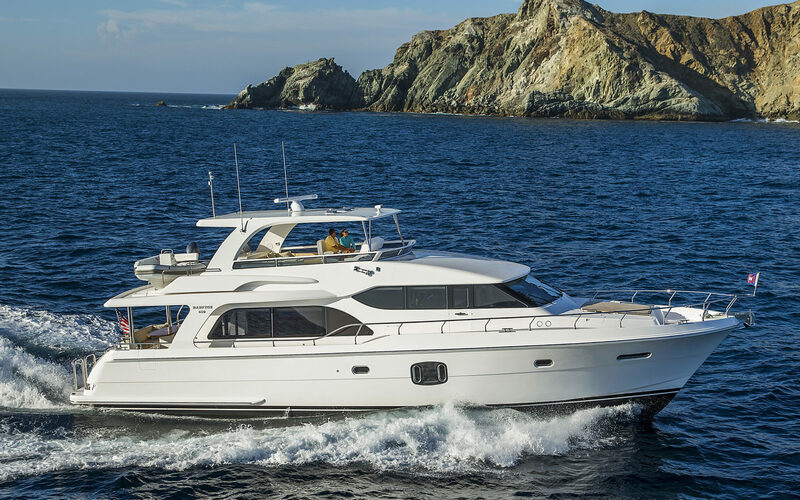 The Hampton 650 has proven to be another very successful pilothouse from Hampton Yachts. 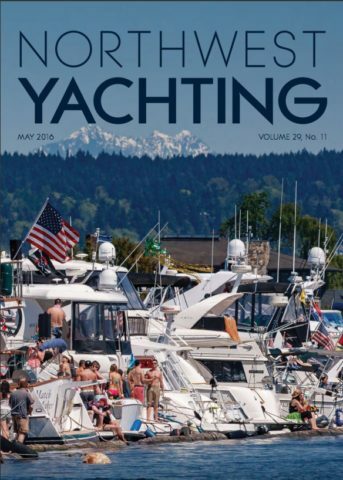 It has garnered the attention of clients whom have admired the company’s pilothouse cruiser series, but found the 700 and retired 680 with a bit more yacht than they needed and wanted a little more room that our 590 model. 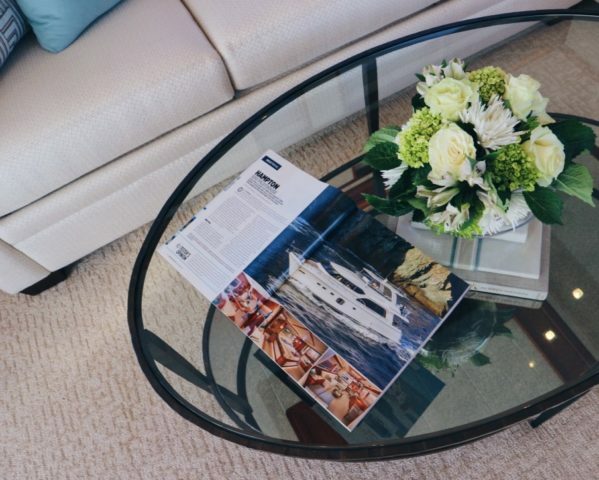 The Hampton 650 with all its great features such as the covered side & aft decks, the “Full-Beam Owner’s suite” and the spectacular open salon & pilothouse arrangement combine to make the Hampton 650 a great destination place where family and friends can join together for some great cruising and relaxation. $50,000.00 allowance to cover the purchase cost of all furnishings, soft-goods (bedding, towels, carpeting, etcetera), dinnerware and installation costs. 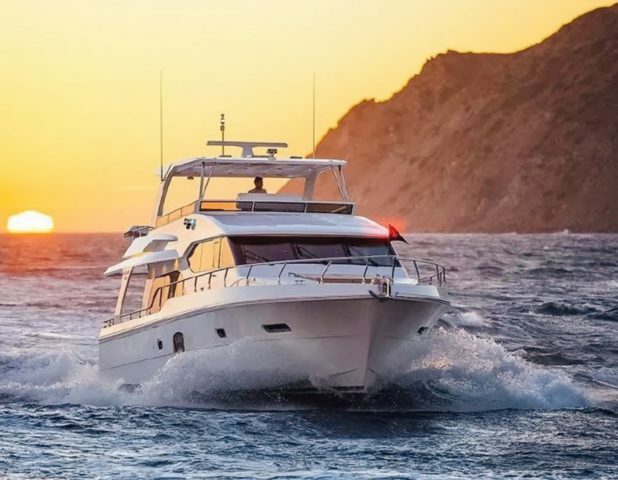 Article by Mike Werling"Filling a gap in the PH lineup, the semi-custom 650 is a luxury couples cruiser with history on its side." "Filling a gap in the PH lineup, the semi-custom 650 is a luxury couples cruiser with history on its side." 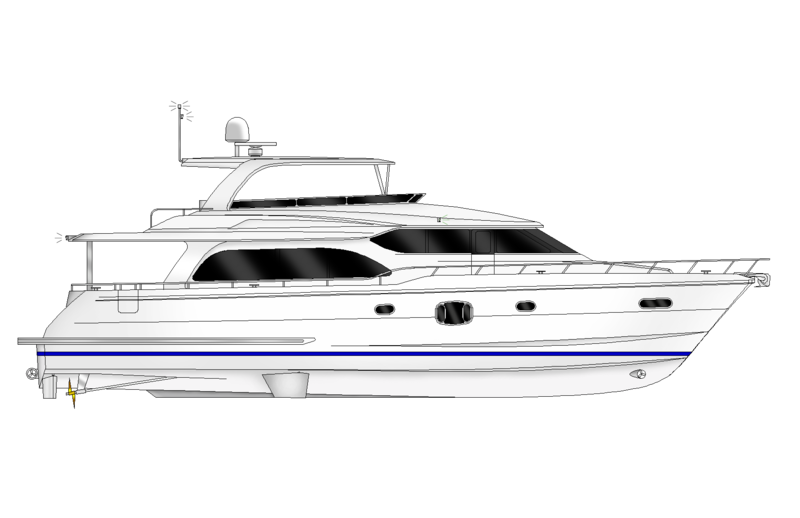 "The hull is solid fiberglass that’s reinforced with two layers of Kevlar from chine to chine and three layers of Kevlar in the forward “collision zone”. 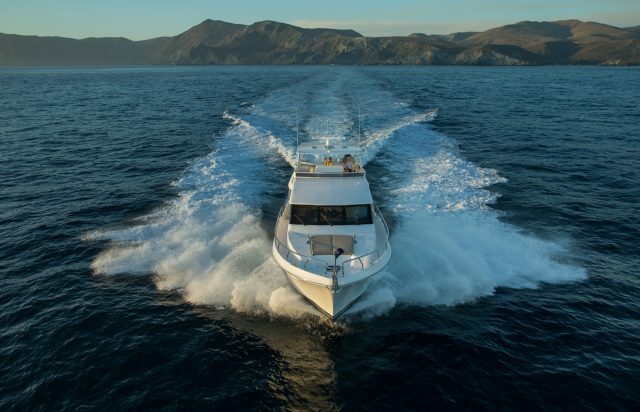 In other words, the Hampton 650 Pilothouse is one tough beauty, and with twin trusty Caterpillar diesel engine that dish-out a total of 2,000 horsepower, she should be able to make way with the best of them"
"At typical displacement cruising speeds, these new low chines are said to slide through the water instead of pushing the water away. The low chines penetrate the waves, reduce slamming and a prevent a harsh ride in rough water."